Women’s sweatshirts look great with most things. You can channel your inner sporty spice by pairing one with some joggers or leggings and rocking some killer kicks. 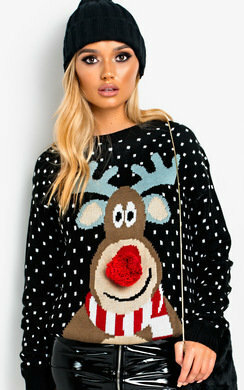 Alternatively sweatshirts are becoming less of a casual trend and more of an everyday fashion trend. 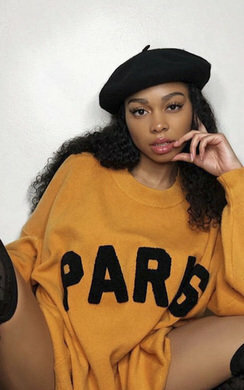 We see many slogan sweatshirts tucked in to some mom style jeans or being worn baggy over a denim skirt and this is shown to be quite the trend that has taken off into everyday life. Here at IKRUSH, we have so many different styles of sweatshirts from cropped, hooded, slogan and distressed. We have got the perfect sweatshirts for women no matter the style, fit or colour you are looking for! Feminine, sporty or relaxed we have a range for all occasions and you can pair this up with so many of our amazing clothing and footwear. So check out each category and get shopping. Browse online today our great range of sweatshirts and hoodies and treat yourself to a well deserved wardrobe addition. Perfect for when you want to be casual and on trend this season.